A portrait of Moses Keokuk (Wunagisa), Chief of the Sauk and Fox tribe. Moses was the son of Keokuk, the United States government-recognized leader of the Sauk and Fox. 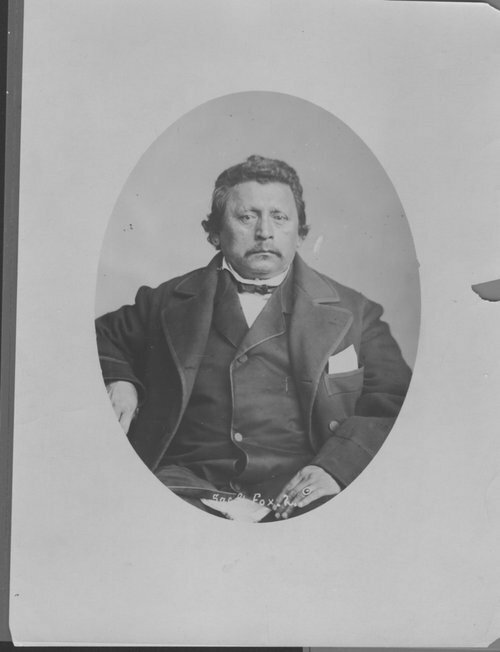 Upon Keokuk's death in 1848, Moses Keokuk assumed his father's position and he followed a policy of cooperation with the United States government.